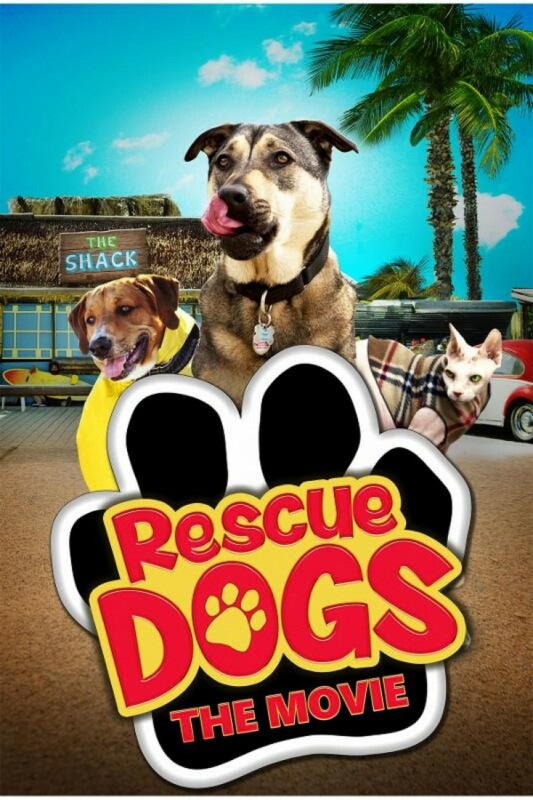 “Rescue Dogs” is the heartwarming story of Tracy and his rescue dog Charger who have to foil the plans of an evil businessman with designs on their beach restaurant, which he plans to knock down in order to build a golf course. With help from his brother, Tracy struggles to pay his bills, manage the kitchen (where Charger helps cook) and still find time to fall in love with a beautiful dancer named Bridget. Through a comedy of errors and mishaps, the humans discover they can be rescued by their very own rescue animals. The family friendly film was written by Jordan Rawlins and MJ Anderson and co-directed by Anderson and Haik Katsikian. The live-action film features real rescue animals. Voices for the rescue heroes are provided by voice-over actors Peter Oldring and Fred Tatasciore, Tamara Garfield and viral Youtube sensation Brian Hull. The voice cast joins the human cast of Paul Haapaniemi, Jordan Rawlins and Courtney Daniels. In addition to the theatrical release on Friday, April 1, the distributors have joined forces with Tugg and are making it possible for charities and animal rescues anywhere in the U.S. to host their own screenings to raise money and awareness about the joys of rescuing shelter animals. A link onRescueDogsMovie.com homepage allows charities to apply to host a screening at a local theater near them. also looking to benefit animalrescues across the nation by partnering with them opening weekend of the film. Audiences will be treated to Live Adoption events outside theaters in hopes of raising money, awareness, and adopting out a large number of rescue animals. Among the renowned rescues partnering with the film is Second Chance Rescue out of New York City.